UPDATE: NATIONALS Leader Barnaby Joyce says he will step down as party leader and Deputy Prime Minister on Monday Morning. The embattled leader says he has informed the acting PM Mathias Cormann of his decision to resign. The member for Armidale told media that in the end, the decision to resign was not hard to come to. 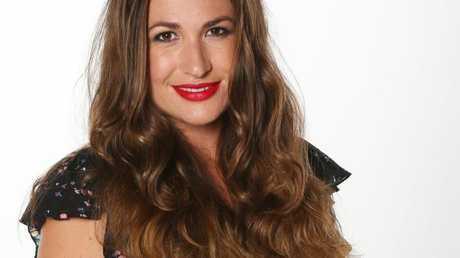 His relationship with now-pregnant staffer Vikki Campion has been the subject of severe public backlash after revelations that a series of positions had been created for Ms Campion in the offices of other Nationals MPs. Yesterday it was revealed the Nationals Party had received a formal complaint of sexual harassment against Mr Joyce, which he has denied. He will stay on as an MP and move to the backbench. 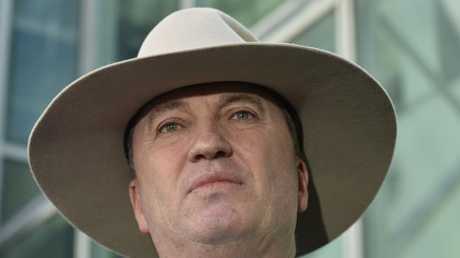 Mr Joyce said he would not endorse anybody to be the new Nationals leader. "It's been an incredible honour," he said. When asked if media should expose personal relationships of politicians, he said it should not happen again. He apologised to his new partner for the public scrutiny she has been under. "I thought that's not who we are in Australia," he said. EARLIER: AFTER a tumultuous month for the Deputy Prime Minister, Barnaby Joyce is tipped to step down as Nationals leader in an imminent press conference. The announcement in Armidale is expected at 2pm (AEST) and several publications are suggesting the scandal-struck politician could announce his resignation. 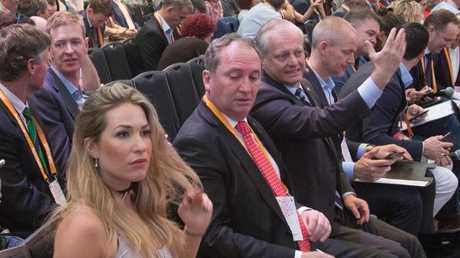 Pressure has been mounting on Mr Joyce ever since it was revealed that he had an affair with his staffer Vikki Campion, who is now his partner. It went from bad to worse for Mr Joyce this week. Yesterday, he denied claims of sexual harassment against him as "spurious and defamatory" as he faces fresh questions about an 11-day road trip he undertook in December. Just hours ago, Nine News political reporter Lane Calcutt asked the Deputy PM if he was going anywhere following the sexual harassment complaint. "Let's just do the presser," he said. 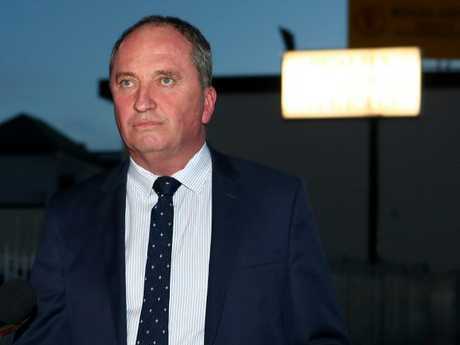 A spokesman for Mr Joyce told The Daily Telegraph he had been made "indirectly aware" of the claim which he described as "spurious and defamatory". "He said allegations of wrongdoing should be immediately referred to police so that the veracity of any claim could be properly tested," the spokesman said. Now, Mr Joyce faces a formal leadership challenge with a possible showdown next Monday after a Nationals MP announced he would move a resolution ousting Mr Joyce as party leader. The warning from Andrew Broad, member for the Victorian seat of Mallee, is the first public sign of a move against Mr Joyce since his affair with a staffer was revealed. Earlier today speaking from Washington, Prime Minister Malcolm Turnbull dodged questions about whether he wanted Mr Joyce to remain as the Nationals leader. "Barnaby Joyce is the leader of the National Party of Australia. As leader of the National Party of Australia in a Coalition government, he is my Deputy Prime Minister," Mr Turnbull said. "The leadership of the National Party is a matter for the National Party and I've been at great pains to stress that I have not, nor has my party, sought to influence in any way the deliberations of the National Party, any more than I'd expect the National Party to seek to influence deliberations of the Liberal Party." Yesterday, the Nationals confirmed a formal sexual harassment complaint had been made against the embattled Deputy PM. 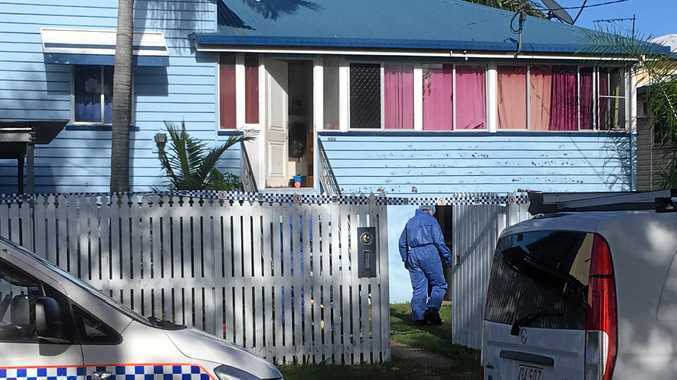 "The Federal Party can confirm a formal complaint has been received," Nationals federal director Ben Hindmarsh said in a statement. "All complaints are taken seriously and treated with strict confidentiality and given due process." Nationals MP Michael McCormack has been tipped as the next Nationals leader if he does resign. Barnaby Joyce and staffer Vikki Campion lived in the Tamworth flat rent free. While Mr Broad's comments yesterday marked the first time a Nationals MP has publicly turned on the beleaguered Deputy Prime Minister, the National Party in Western Australia earlier this week effectively told him to resign. In a statement, Mia Davies, the leader of the Nationals in WA, said she had contacted Mr Joyce to tell him he was causing "ongoing damage" to the party and his position as Federal Leader was "no longer tenable". "Mr Joyce's actions have caused pain for his family but it is the ongoing damage he is causing The Nationals organisation that is of greatest concern to me as WA Leader," Ms Davies said. "The Nationals brand across Western Australia has suffered as a result of Mr Joyce's actions and he has become a distraction at both a federal and state level. "My parliamentary colleagues and I have urged Mr Joyce to consider his position as leader in the best interests of the federal party and state branches. Vikki Campion, the former staffer with whom Mr Joyce is now expecting a child. "It is the view of the Parliamentary National Party of Western Australia that Mr Joyce's position as a Federal Leader is no longer tenable." It all comes as the Deputy PM and Ms Campion said they feared their baby son would be viewed "somehow less worthy than other children", in an interview with Fairfax Media. The couple claimed they had been "forced out" of their rent-free townhouse in Armidale due to media intrusion as they appealed to politicians and members of the public to give them privacy. "It's time to move on," the Nationals Leader told Fairfax Media.